We now offer English for Speakers of Other Languages Tutoring for members of our community who would like to improve their English! We pair Tutors and Students together for one-on-one, weekly sessions that typically last an hour long. Our program strives to be flexible for both tutors and students alike to foster a comfortable learning environment. If you are interested in becoming either a student or a tutor, please stop by the circulation desk and fill out a simple, one page application or you can print the form out below and bring it into the library. This program is run entirely by generous volunteers from our community and supported by Project Literacy of Greater Bergen County. We are always looking for more volunteers. If you think you might be interested in tutoring, please contact the Circulation Desk for more information at (201) 327-4338 ex.2. No experience or knowledge of another language is required. 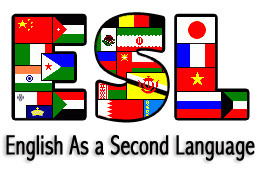 Every Tuesday at 7:00pm have a new program beginning for ESL speakers! Volunteers from Northern Highlands Regional High School, in partnership with a Girl Scout Gold Award, will be hosting a new and fun program to help grow your conversation skills in the English language. 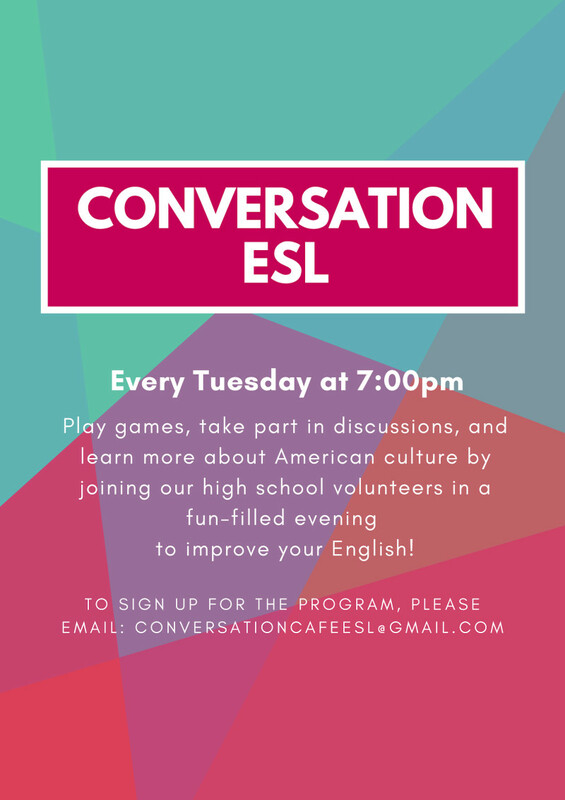 Play games, take part in discussions, and learn more about the American culture by participating in our conversation-focused program!